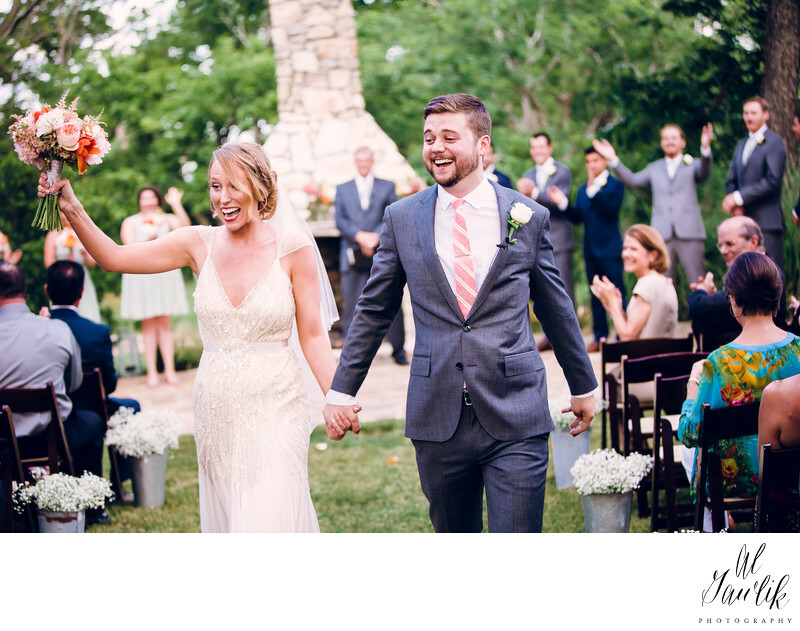 Happiness and total relief are the thoughts that come to mind as we watch the bride and groom walk down the aisle. Family and friends are sharing the joy of the moment and one of the groomsmen raises his arms in the excitement of the moment. Could the bride and groom possibly be any happier than they are at this very moment? Our photographer is there to capture the picture and the feelings.